Your chevron loving girl will love this fun DIY party decoration. 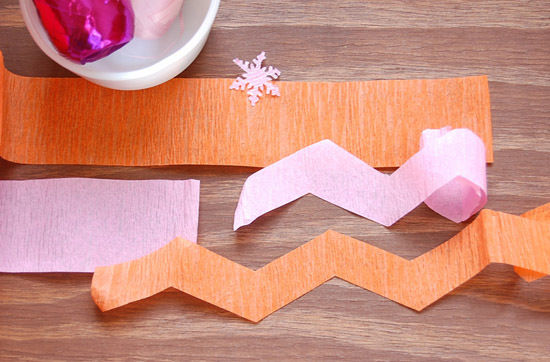 Turn inexpensive crepe paper streamers into fun chevron party streamers. Red, white, and green would look perfect for your holiday party. You can see the chevron streamer tutorial over at Flights and Fancy.